of steps, but well worth it. This recipe comes from one of my favorite cookbooks, The Fannie Farmer Cookbook, 12th Edition. The great thing about this recipe is you can use what you have on hand, for the beef, you can substitute pork or chicken or sausage, you can use any kind of rice and add the seasonings that you prefer. I have Bavarian Seasoning from Penzey’s Spice. This just sounds like something I would order in a Bavarian Restaurant so I went with the feeling and it worked great. This is a fantastic recipe for cold weather. Use any leftover ingredients that you may have in the refrigerator, such as rice or tomato sauce. ¾ c. gravy ( or a meat sauce~ gravy, juice or strong bouillon) I used meat sauce from the night before. Add cabbage leaves and cook for about 3-4 minutes. Carefully lift out the leaves and let drain on a towel. Cut a small V out of the root end to remove the hard spine of the leaves. Saute onions in butter until soft. If you need to brown any ground beef, do it at this time in the same pan with the onions. Add seasonings, rice and gravy. Stir well to combine all these ingredients. Spoon about ⅛ of the mixture on each of the cabbage leaves. Fold in sides and roll to make a neat sausage-shaped package ( Like a burrito). Place seam-side down in a greased baking pan. Pour tomatoes sauce over the rolls. Cover lightly with foil and bake at 350 degrees for 50 minutes. Hello! Just a question…why 50 minutes of baking if everything is cooked already? Thanks! The cabbage is just quickly blanched so that it can be pliable for filling, it is not fully cooked, you can look and see as you are cooking the stuffed cabbage after a half hour if that is plenty time for all of the ingredients to meld together. I have baked for 50 minutes and it tasted perfect to me. The recipe calls for gravy, you can use meat sauce, juice or strong bouillon, I used a pasta meat sauce that I made the night before. I have used both pasta sauce and ketchup, they both turn out great. They will probably like it some day. I like my filling to stick together, so I either use raw ground meat, or add a couple of beaten eggs to bind everything together. Even if using fully-“cooked” ingredients, I still like to braise the rolls for AT LEAST an hour (two hours is even better) to make sure the cabbage is very tender. Long slow cooking time also allows the flavors to blend together. The best golabki (yes, that’s the proper Polish spelling) I’ve ever made I made in an enameled cast-iron pot in the over set to 200 degrees Fahrenheit overnight (eight hours). The golabki were so tender I could cut them with a spoon, and yet the filling was still a bit firm and sticking-together…perfect! I also love garlic in my golabki, and LOTS of freshly ground black pepper. And always serve with sour cream! I was just thinking about doing stuffed bell peppers and came across your recipe for the stuffed cabbage, I have a question, why does my cabbage come out not done? any special timing on cooking this. Anyone can help me on this. I par boil the cabbage before stuffing it with the meat and rice filling, then I bake for 50 minutes, it is perfectly tender. One of my favorite recipes I could eat stuffed cabbage at least 3 times a week. I could too Beverley! Thank you! You can also put this is a crockpot instead of the oven, if you prepare it in the morning……..great either way. I am so happy you saw the post, thank you for sharing these great memories! Just made this tonight. Oh, so good! Thanks for sharing this recipe! Look so good. I’ll fix it soon..
It’s a chilly day here in Florida and this dish would be perfect for dinner tonight! I wish I could be chilly with you in Florida Linda!! Thank you April, they always hit the spot! Oh hope you get a chance to make them, they are our favorite! It s too cold here too! This has me drooling!! It looks so very good!! Thank you Tara, they are super yummy! 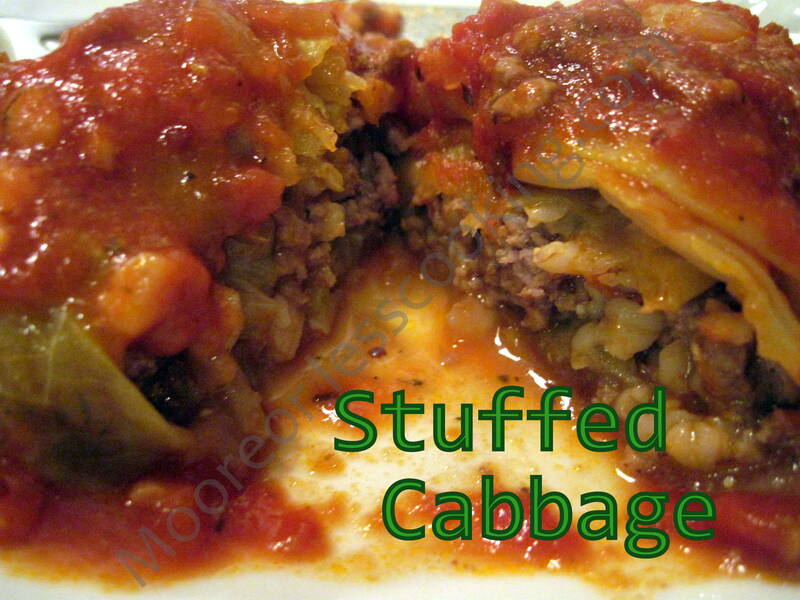 I absolutely LOVE stuffed cabbage! These looks so good Nettie! Looks delicious and I have never had stuffed cabbage leaves ! Better make some soon ! I love stuffed cabbage. YUM! In Greece we call them lachanodolmades and I love them! I love your version! You just can’t beat Fannie Farmer, can ya? I want what YOU’RE having for dinner! This could be a weekly staple for us. All those leftover ingredients would be so happy to find their way into your Stuffed Cabbage Leaves <3 Love. I love stuffed cabbage, your recipe looks great! Thank you jillian! It is one of our favorite comfort foods! These are so awesome. I love your recipe. Looks and sounds amazing! Love that it uses up leftovers. I hate wasting food!! G’day! What a warm and welcoming dish Nettie! YUM! This looks and sounds delicious! I will be making this soon! I am a huge fan of stuffed cabbage. Brown rice is the best rice to use in stuffing cabbage. Your recipe looks soooo delicious. I’ve never had anything like this before but it sure does look good! I am going to make this tonite. I also have Penzey’s Bavarian seasoning and always wondered what I was going to use it in. Now I have something. Thank you very much for the idea. This version looks so good and simple! The ones I make, not so often as it’s an all day job, I use raw ground chuck and raw rice along with all seasonings, use every leaf of cabbage, make sauce seperately, pour over them, cover big Magnalite roaster with lid, and bake in oven for several hours! They are great, but seldomly made, too long process! I’ll try yours! Thank you for sharing! !